Charming Craftsman features on the exterior include a mixture of clapboard and shingle siding, tapered columns on the porch, and a stone chimney. The partially paned windows are also visible from the street, giving the home plenty of curb appeal! Photo by Effect Home Builders Ltd. The front door opens into a small entryway with a bench, from which you can pass through two columns to access the living room. The gorgeous cast iron fireplace is surrounded by green tiles, while a white mantle and trim give it a bit of a modern feel. 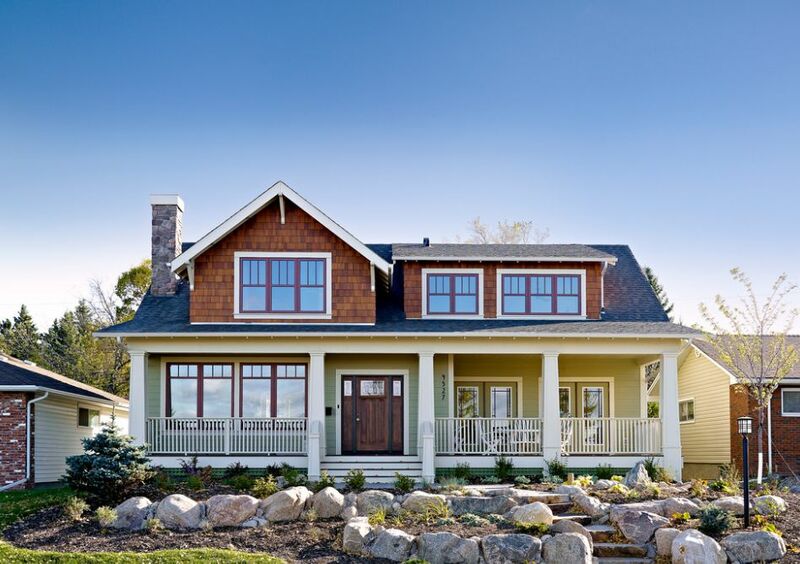 From this angle, you can appreciate the large windows that overlook the front porch. 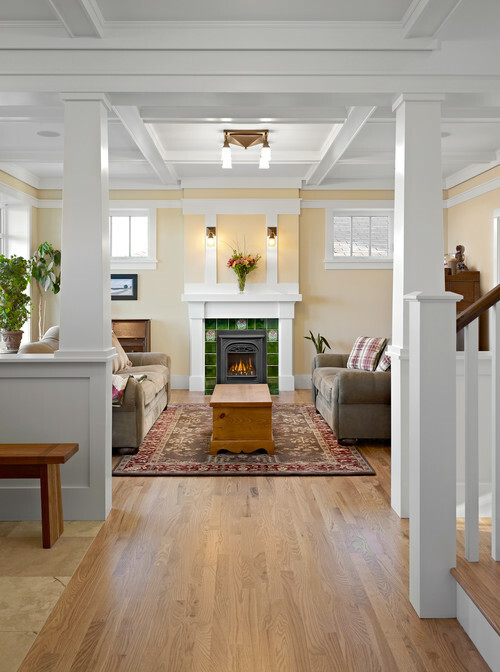 Don't miss the beautiful coffered ceiling! 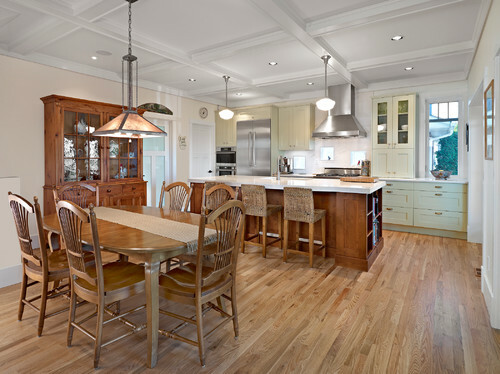 The hardwood floors and white coffered ceiling continue into the open concept living and dining room, which features a breakfast bar as well as a dining table. 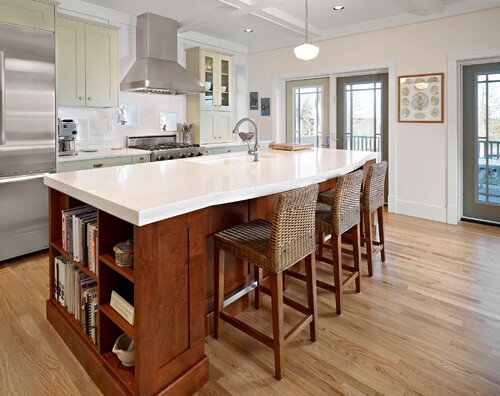 The neutral colors of the walls and the cabinets are complemented by the rich wood of the cabinet, table, and island. The kitchen island features handy built-in shelves perfect for storing cookbooks, and beautiful glass doors lead out to the deck. 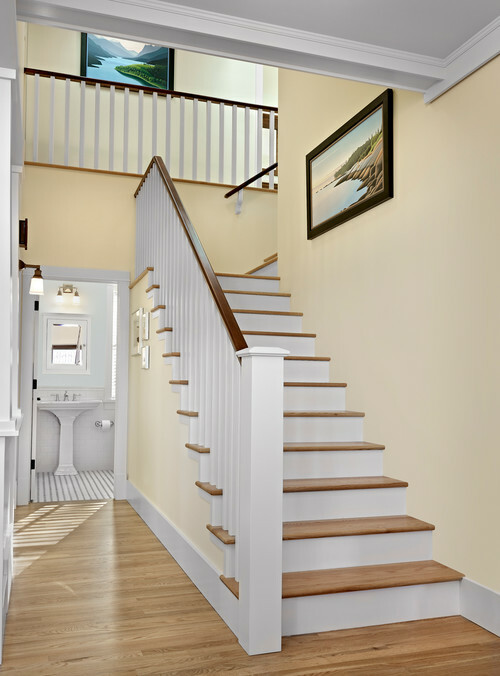 The traditional-looking staircase is located right by the front door, and it leads up to a hallway that's open to the space below. 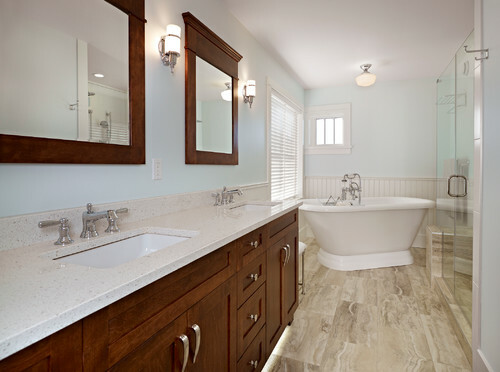 The luxurious bathroom features his and hers sinks, a shower with a glass door, and a free-standing bathtub. 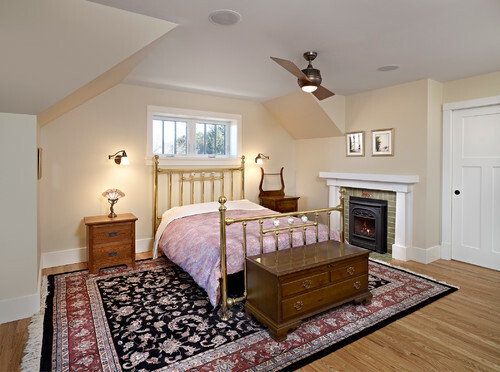 A small paned window in the corner and white wainscoting along the lower half of the back wall give the room a decidedly Craftsman feel. What do you think of this charming Craftsman? Let us know in the comments on Facebook, and be sure to share this article with your friends if you loved it! 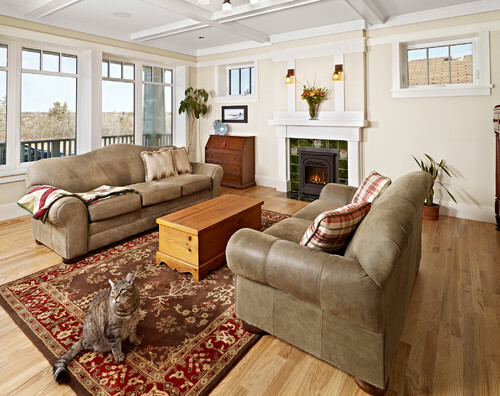 Resources Houzz and Effect Home Builders Ltd.